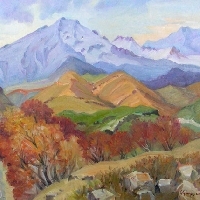 An Armenian painter, Gevorg Avagyan, was born in 1922 in Gyumri town (Armenia), lives and works in Yerevan. 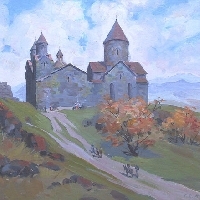 He is one of very few representatives of Armenian artists of old generation who continue to work in the chosen jenre of Impressionism and Realism. 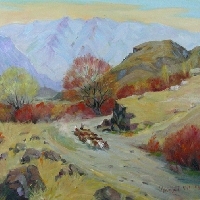 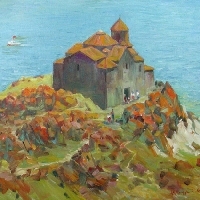 The artist graduated from Armenian Fine Arts College named after Terlemezian (1949), and then from Armenian Fine Arts Academy (1956) where he studied with the outstanding Armenian artist Gabriel Giurjian. 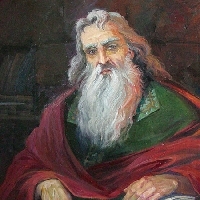 Member of Artists Union of the USSR since 1971. 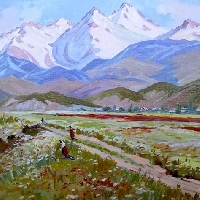 Active participant in various Armenian and international art exhibitions. 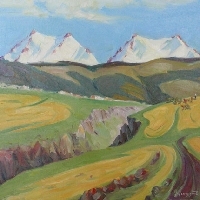 Art works and monumental compositions by Gevorg Avagyan are kept in various national galleries, they decorate national theatres, cultural centres and private collections in Armenia and abroad. 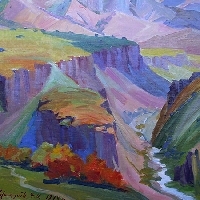 A great number of famous Armenian artists were working closely with Avagayn. 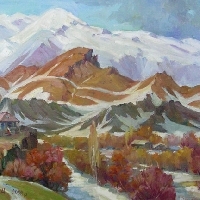 Among his nearest studio friends were such talented artists as Arakel Arakelian (1929-1990), Mikael Giurjian (1935-1995), Hamlet Minasyan (1923-1995), Karlen Roukhikyan (1926-2004) and many others. 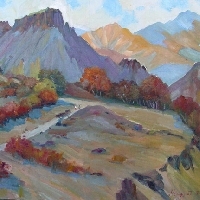 Avagyan is well known as a master of portrait and beautiful realistic landscapes. 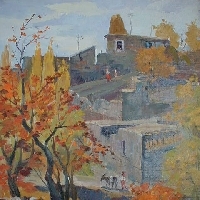 In spite of his age the author continues to develop traditional classic school of realistic painting sometimes coming to impressionism in genre of thematic painting, portrait, landscape and still-life. 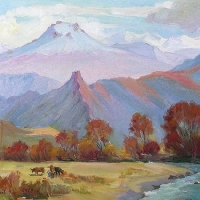 High professionalism and author's artistic culture enables him to create pictures of various genres, from historical battle canvases and portraits to still-lifes and landscapes.